Editors note: This column is a follow up to a previous column, that is worth reading first. I’ve thought regularly that if the low-life individuals relentlessly attempting to scam us out of our hard-earned income took a few moments and focused on how they might improve society, not only would the world be a better place, but they would perhaps be wealthier. After all, an individual in a dark boiler room, chained to a desk, deceiving people on the phone can’t be a) very happy, nor b) very wealthy. What a miserable life! Yet, that’s as much sympathy as I can muster for the scumbags who besiege us with a non-stop waterfall of scam phone calls intent on swindling us into purchasing credit card protection, extended auto insurance, or — now that I’m a certain age — Medicare options. It’s become so prevalent that I don’t answer my phone; assuming – that if the call is legit – the caller will leave voice mail and I will return the call at my leisure. “Hello. This is Scott,” I said as I activated the speakerphone, poised to shut it off immediately upon hearing a south-Asian accent telling me that my computer is infecting the internet. Rather, I heard an elderly woman’s voice crack through the speaker. Truth be known, although I’ve written this column for almost 15 years, never before had anyone invited me to their house in order to bestow presents upon me. I wasn’t sure how to handle it. “What is it you want to give me?” I asked. Leave a surprise note for someone. Remember how you felt the last time someone left you a surprise note? Whether it was your spouse, your parent, or just a friend; there’s something special about finding a friendly note when you least expect it. No matter how good your mood was before you got the note, it got better afterwards. 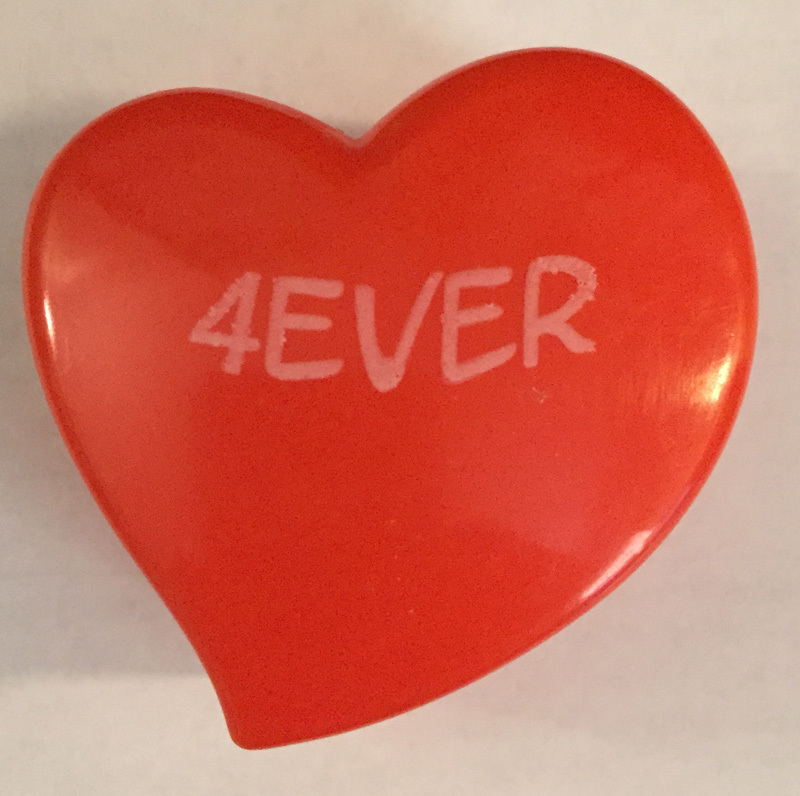 A few years ago, I bought some really inexpensive plastic hearts at a dollar store for Valentine’s Day (above). I put candies in them for my wife. However, I still have them and periodically, I will put short, fun notes in them and hide them in various places around the house for her. It might take weeks before she finds them – and I’m sure we’re still missing some that were never retrieved. I don’t tell her. As she stumbles upon them, it brightens her mood and mine (because I’ll hear her surprised laugh or “Aww, that’s so sweet! ).